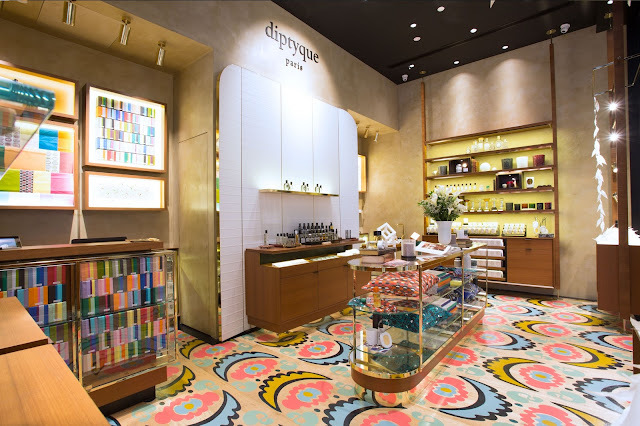 The Parisian perfumer Diptyque, has just opened their very first Diptyque boutique in South-East Asia in Pavilion Kuala Lumpur ! 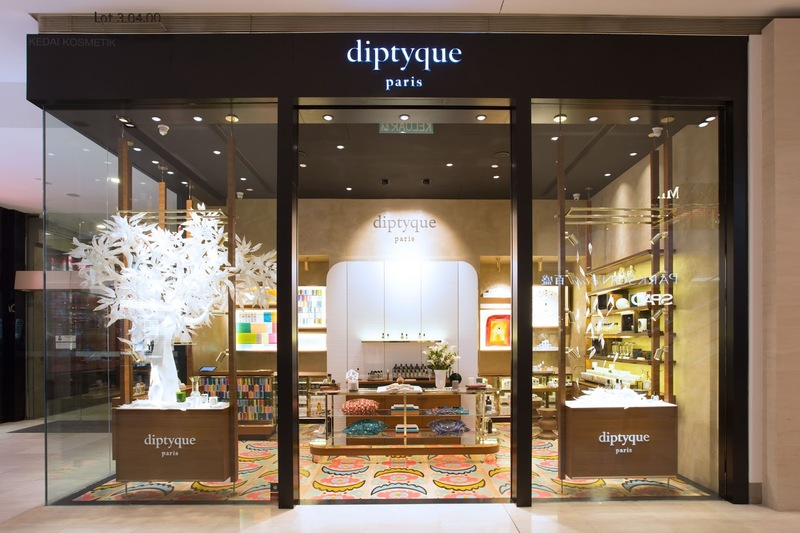 Being one of the most luxurious fragrance and candle brands, they do really know how to inspire visitors to explore the art of living through their senses in the new Diptyque boutique. Clad in glass, two ample windows display (forming a diptych, for which the brand is named) open into a space that serves as a stage for Diptyque's collection. And as you step into the boutique, your senses will be greeted with elegant and sophisticated candles, diffusers and scents. 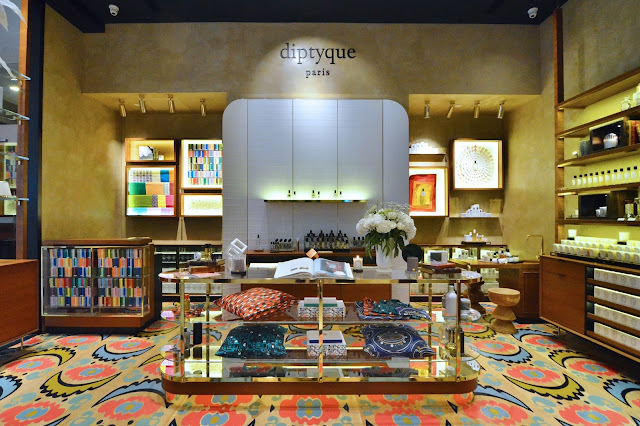 The Diptyque Kuala Lumpur boutique is a window onto the union of two cultures. The design concept comes from a combination of the signature style of the brand as well as the Asian culture, featuring batik curtains combined with the black and white oval that is Diptyque's symbol. The boutique's furnishings, redesigned to emphasize the space's elegant height, are made from native Malaysian teak and ebony..